When it premiered last year at Cannes, Olivier Assayas' Personal Shopper was not particularly well received though our correspondent called it "decidedly entertaining" while I loved it so much I added it to my list of recommended movies last year. Assayas collaborator Kristen Stewart stars as Maureen, a young American woman living in Paris and working as a personal shopper to a celebrity. She hates the work but feels like she's stuck in Paris until she hears from her twin brother who died in the city two years earlier. The pair had made a pact that whoever died first would send the other a sign and Maureen doesn't want to move on in fear that her brother won't be able to communicate if he can't find her. She hasn't given up but she's clearly frustrated and then one day, Maureen finds herself at the center of a number of strange coincidences and unexplained events which she thinks may be her brother trying to communicate with her from beyond the grave. 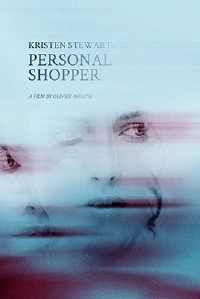 I sometimes find myself baffled by Assayas' work - he seems to revel in making movies which are dense with meaning and difficult to unpack - but I really loved Personal Shopper which feels like either a really subtle ghost story or the tale of a woman who is going crazy. However you read it, it's a beautifully made, brilliantly acted, tension-filled drama that is definitely worth a look. Personal Shopper opens March 10.